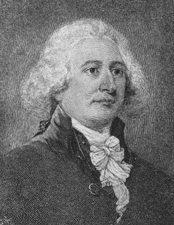 BROWN, John, (brother of James Brown and grandfather of Benjamin Gratz Brown, cousin of John Breckinridge, James Breckinridge, and Francis Preston), a Delegate and a Representative from Virginia and a Senator from Kentucky; born in Staunton, Va., September 12, 1757; attended Washington College (now Washington and Lee University), Lexington, Va., and Princeton College; enlisted in the Revolutionary Army and served until the close of the war; completed his studies at William and Mary College, Williamsburg, Va.; taught school for several years; studied law; admitted to the bar in 1782 and commenced practice in Frankfort, Ky.; member, Virginia senate from the district of Kentucky 1784-1788; Delegate from the Kentucky district of Virginia to the Continental Congress in 1787 and 1788; elected from Virginia to the First and Second Congresses and served from March 4, 1789, to June 1, 1792, when that portion of Virginia which is now Kentucky was admitted as a State into the Union; elected as Anti-Administration (later Democratic Republican) on June 18, 1792, to the United States Senate from Kentucky for the term ending March 3, 1793; reelected on December 11, 1792, and again in 1799, and served from June 18, 1792, to March 3, 1805; served as President pro tempore of the Senate during the Eighth Congress; resumed the practice of law; died in Frankfort, Ky., August 29, 1837; interment in Frankfort Cemetery. American National Biography; Dictionary of American Biography; Sprague, Stuart S. Senator John Brown of Kentucky, 1757-1837: A Political Biography. Ph.D. dissertation, New York University, 1972; Warren, Elizabeth. John Brown and His Influence on Kentucky Politics: 1784-1805. Ph.D. dissertation, Northwestern University, 1937.